In 1776 Adam Weishaupt, a respected German professor of Canon Law, founded a covert revolutionary group - The Illuminati - a secret society dedicated to destroying repressive regimes and shaping a world government in terms of Liberty and Equality. These ideals surfaced with violent emphasis during the French Revolution, which many saw as the work of Illuminati agitators. The Jesuit Abbé Augustin Barruel was one such. In this book, (the third of his four-part monumental work on the French Revolution), he describes - from contemporary sources and accounts - the history, organization and ethos of the Illuminati, and their role in the destruction of the ‘ancien regime’. 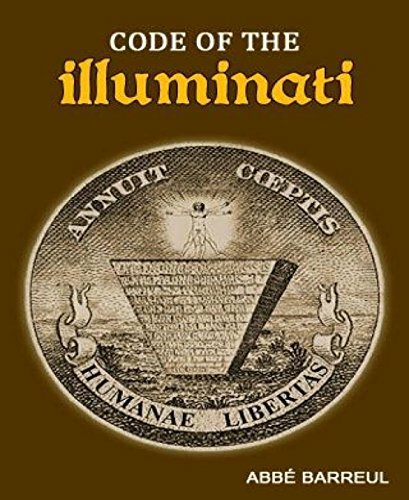 This is an important work on the Illuminati, and is especially relevant considering the continuing belief that the Order remain among us, still working secretly to achieve their goals. Although Robison was very much an advocate of science and rationalism, in later life, disillusioned by the French Revolution, he became an ardent monarchist. 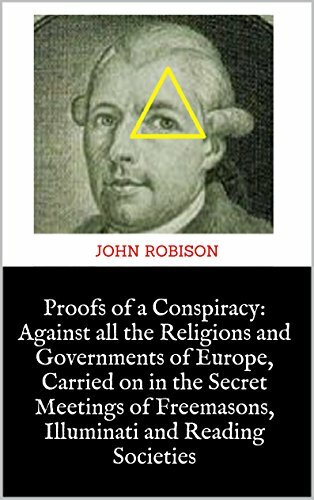 In this work, Proofs of a Conspiracy, Robison laid the groundwork for modern conspiracy theorists by implicating the Bavarian Illuminati as responsible for the excesses of the French Revolution. The Bavarian Illuminati, a rationalist secret society, was founded by Adam Weishaupt in 1776 in what is today Germany. They had an inner core of true believers, who secretly held radical atheist, anti-monarchist and possibly proto-feminist views, at that time considered beyond the pale. They recruited by infiltrating the numerous (and otherwise benign) Freemasonic groups which were active at the time on the continent. Necessarily they had a clandestine, compartmentalized, hierarchical organizational form, which has led some modern conspiracy theorists to identify them as the original Marxist-Leninist group. However, this is most likely simply a case of parallel evolution.